Se Habla Español. 31 años de experiencia. American Asphalt Phoenix is the premier asphalt, paving, and sealcoating company serving Phoenix, Arizona and the surrounding cities. Since 1987, American Asphalt Phoenix has been providing high-quality workmanship at competitive prices to residential and commercial customers in the Phoenix area. We do all work ourselves, with our own crews and equipment, and without the use of subcontractors. We are one of the only companies in the valley to mix and apply Slurry Seal to asphalt. While many other companies use spray on materials, we take the extra care to apply with squeegees for a better result. If you need quality asphalt maintenance, call the experts at American Asphalt Phoenix; we've paved the way for better results. At American Asphalt Phoenix our customers' satisfaction is our top priority. Our crews operate on day or night schedules to accommodate our customers. Our professional staff will work with you and offer advice and consulting on any project. For any type of parking lot striping, road maintenance, new construction paving, or to repair or replace worn and damaged asphalt, call us now. 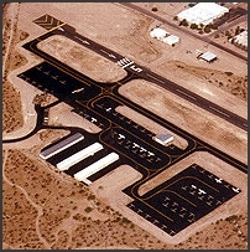 We also accommodate traffic and parking control, phasing, and scheduling for non-business days. Copyright © 2018 amasphaltaz.net All rights reserved.